I love a stylized session with older children. Older kids are easier to pose and direct than younger children and I love incorporating things they love. Meet Evers-a sweet 10 year old who I had the opportunity to photograph this past spring. 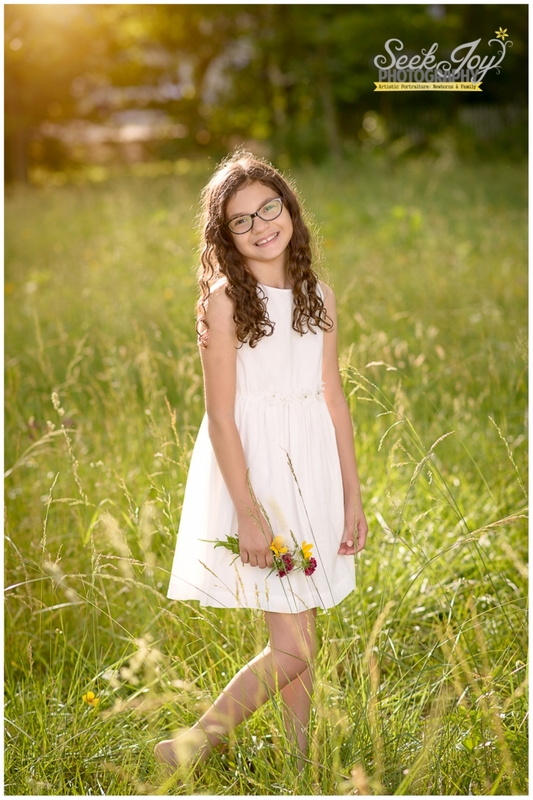 She loves horses, dance, and her American girl dolls so we incorporated all of these hobbies into her photo session. I enjoy chatting with her mom, learning about Evers and planning her session. We started at the horse farm in Greer where she takes riding lessons. 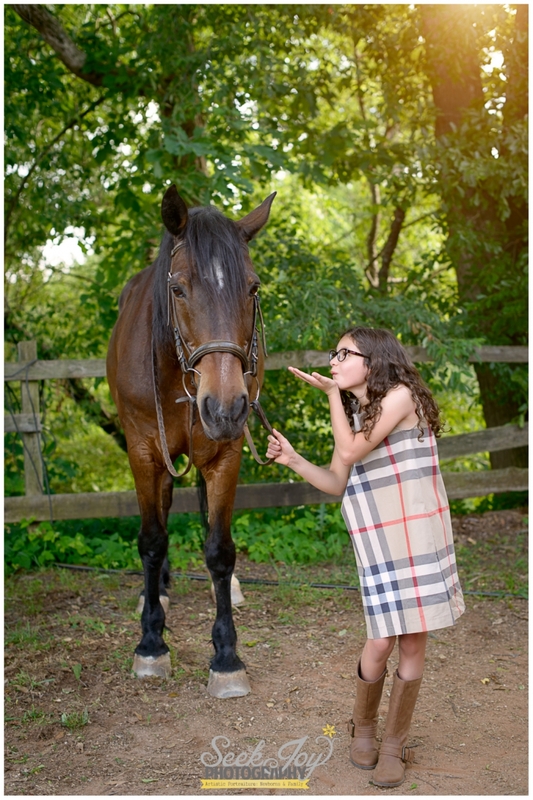 She chose one of her favorite horses, a large mare, to be in the photos with her. We then did a quick wardrobe change and headed to one of my favorite spots in Taylors for the rest of this sunset shoot. Her session ended with gorgeous portraits of her in her dance recital costume. She is excited to start on pointe so I enjoyed sharing stories with her about my dancing days as a girl and performing in The Nutcracker at the Peace Center. I even brought along several pairs of my old ballet slippers to incorporate as props for her session. Evers is one amazing little girl: sweet, polite, and full of wonder as she loves to enjoy life. Happy Birthday! © 2019 Seek Joy Photography|ProPhoto Photo Theme by NetRivet, Inc.